Resist me, if you can! 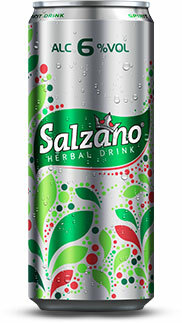 SALZANO is a refreshing and virtuous drink! Based on traditional elixirs and remedies, its recipe combines a broad range of medicinal herbs and a touch of liquor. Enjoy its subtle flavours, especially the blend of the delicacy of the coriander, the fruity hints of petit grain, the force of lemon and the power of ginger.